It was 1990, Star Trek: The Next Generation had been on air for multiple seasons. I started watching it at nine years old, and instantly fell in love. Even at nine, I could tell this was something deeper than mere entertainment. Star Trek story lines not only pulled me in, but made me stop and think. One of the primary character’s, Data, was an android. His ever present goal of being human encouraged me to confront many questions regarding autonomy, what it is to be not only human, but an individual. Another character, Worf, a Klingon raised by humans, consistently found the balance between honoring his heritage while appreciating his current status as an officer of Starfleet. The show never failed to offer me an ethical or political question to cut my analytical teeth on. In 1997, at the age of 16, I fell in love with Buffy Summers and the Scooby Gang as they joined forces and saved the world, every single week, almost always within an hour. Again, I found myself considering ideas that were much broader than mere entertainment. From Buffy the Vampire Slayer, I saw the importance of a strong circle of friends, the pain of betrayal, and the power of redemption. 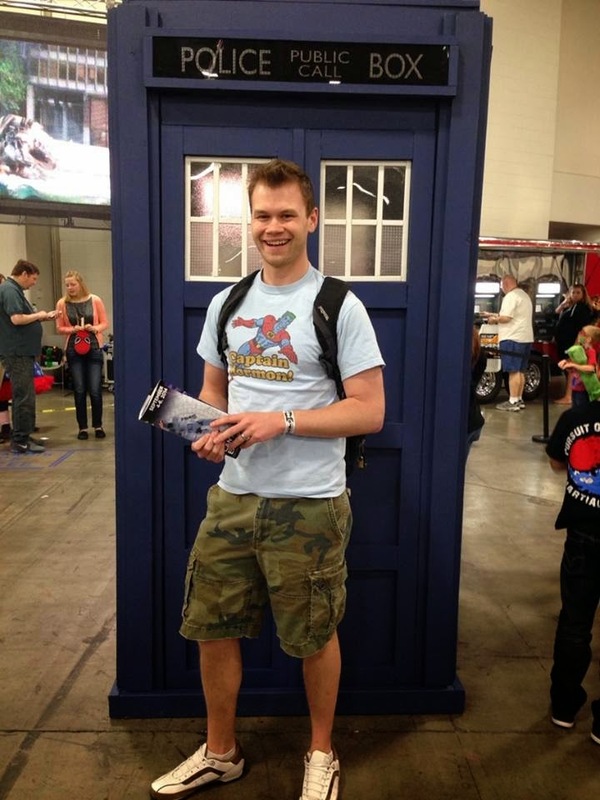 Life went on, I gained more confidence in my social skills, I did a lot of growing up, and yet still, I felt my face go red anytime someone outed me as a geek. This went on for years. 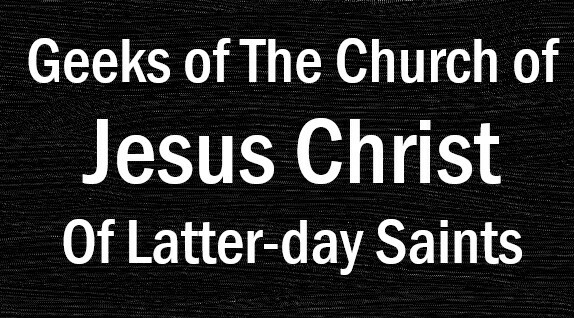 Then came the fateful day when I met fellow Mormon Geek, Joe Meyere. Within a year, we became dear friends. I saw Joe as a man who had a love for himself, and not in a narcissistic way. He was not shy to talk about any fringe show or cult classic that he loved. Slowly, I started realizing, I like what I like and that very concept, along with all the ideas I’ve been exposed to due to my geekery, contributes to my individual autonomy, informs my personhood, and colors my humanity. My friendship with Joe continued to grow. It has included watching old episodes of Daria and Mystery Science Theatre 3000, singing Rocky Horror Picture Show lyrics in private and in public, making Borg drone cupcakes while listening to Dr. Horrible’ s Sing-a-long Blog (check out LaNell's mad crazy cake makin' skills! 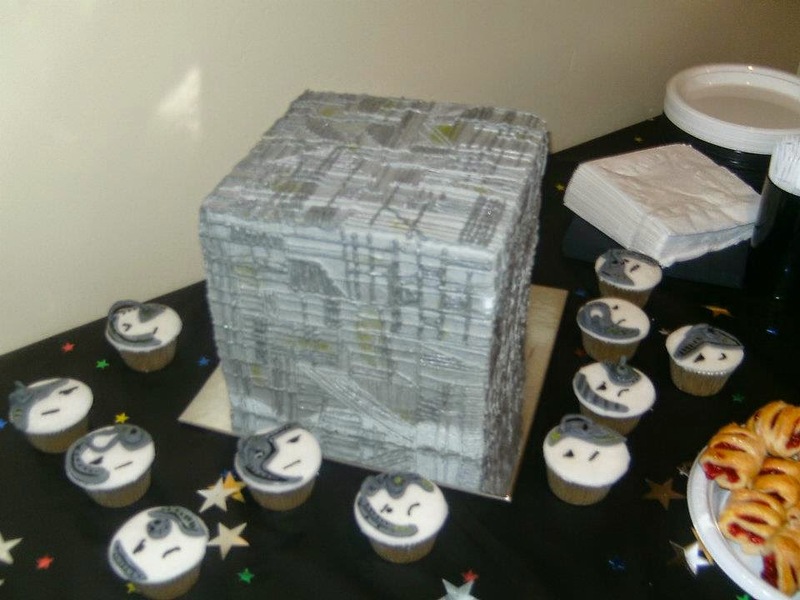 Who knew the Borg cube was filled with carrot cake?). It's included eating meat pies after watching a stage version of Sweeney Todd, and even my first Comic Con, complete with cosplay. I even came out as a geek on Facebook, several times. 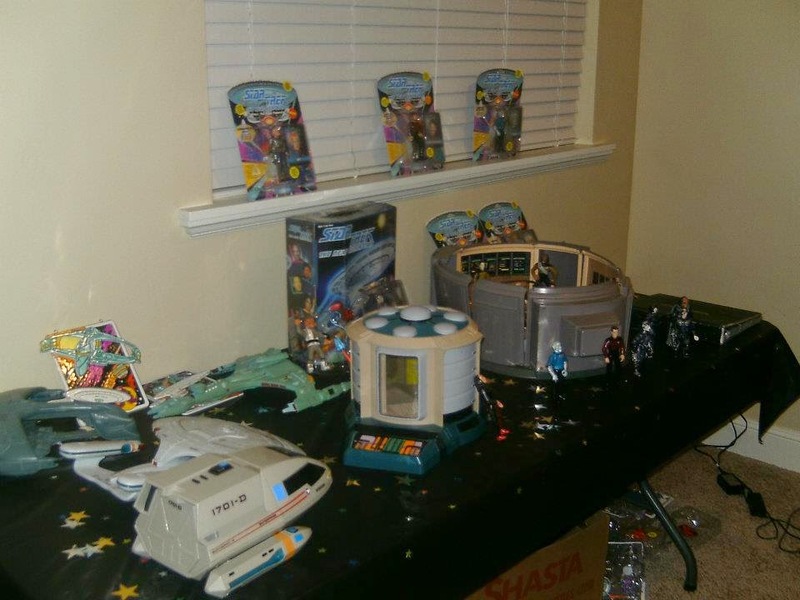 Once showcasing my closeted Star Trek collection. 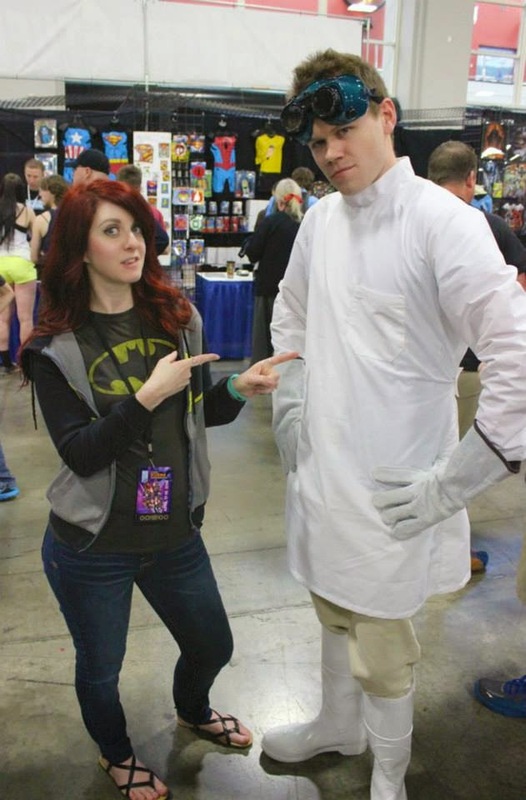 Then again with multiple pictures from Comic Con. 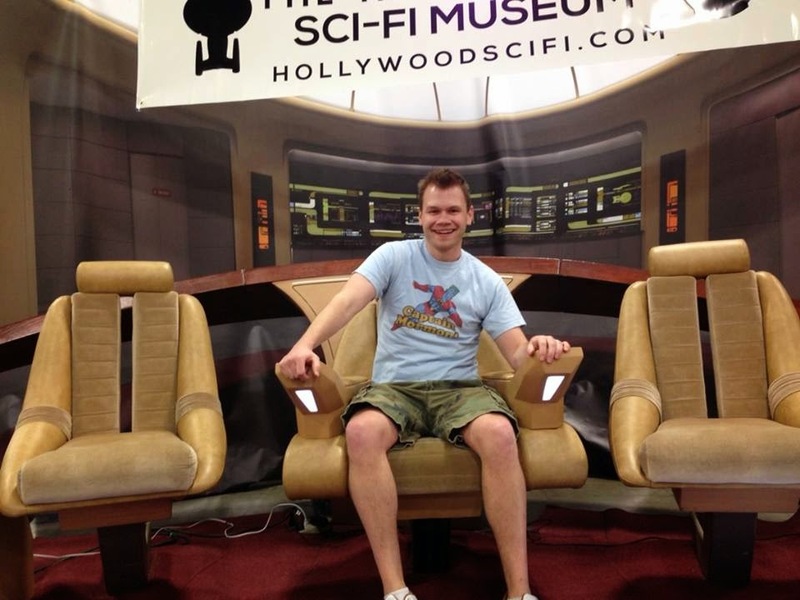 One picture in particular shows me sitting in the Captain’s chair on a replica of the NCC-1701-D. I see the man sitting in that chair and am revived by the realness of his smile. Thank you, Joe. Thank you for helping me reclaim one piece of my fragmented self, a piece that while geeky, is a pretty darn special in the structure of my mortal identity. Yes. We have to make sure the cybermen haven't caught up to us.